Ghost here, thanks for joining me! 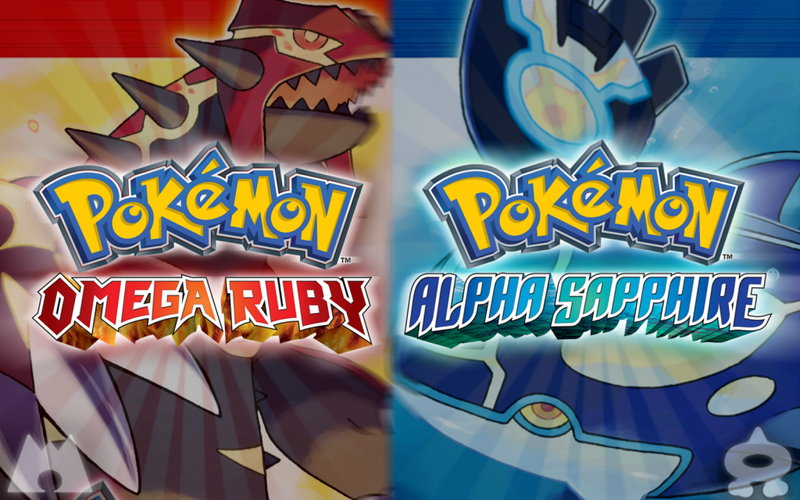 The recent release of Alpha Sapphire and Omega Ruby has reminded me once more of a key factor to the pokémon franchise. Pokémon has remained at the top of their class because they embrace change, variety, and are constantly attempting to better themselves from game to game even when that game is a remake of a previous title. Heck one of their core mechanics is the evolution of your pokémon as they get stronger. It's good to see a constantly changing and "evolving" franchise while other Nintendo franchises stagnate (Mario), are forgotten (Star Fox), or just keep re-releasing the exact same thing over and over with little change (Legend of Zelda). Now let me explain before anyone get's their tunic in a wad. Yes pokémon has re-released three generations of their games, however unlike The Legend of Zelda they have gone out of their way to make improvements to these games. Well... let me rephrase that. Pokémon has re-released a previous game and has made improvements that are meaningful and significant. 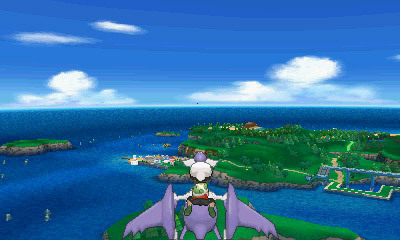 Pokémon's re-released games had new locations, additions to the existing storyline, new storylines, added characters, added gameplay mechanics and so on. 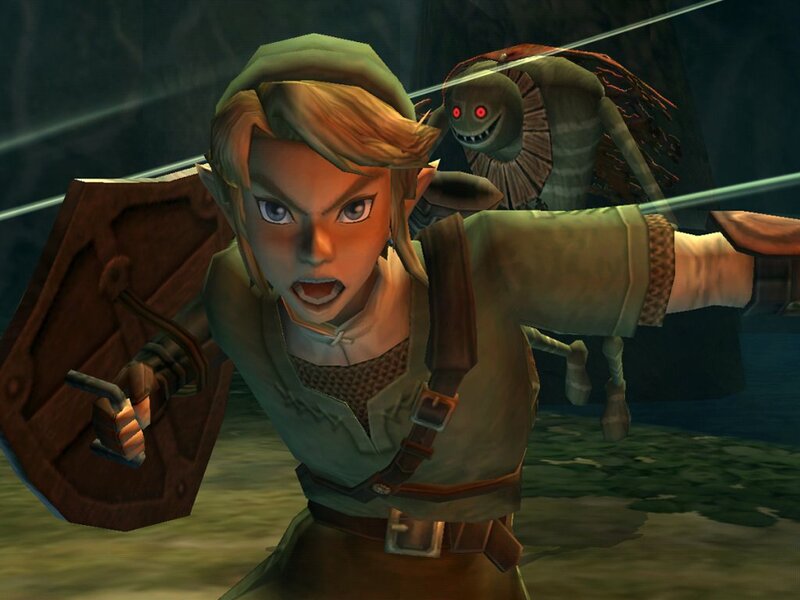 Legend of Zelda.... removed blood from a well, changed the Gerudo symbol to not offend Middle Easterners, added hint stones, and made a cel-shaded game High Definition...which basically meant they did nothing to it. Now where was I? Why did I let you get me off on this rabbit trail? Now I know what several of you may be asking. "OK so if there's all this innovation then why am I still fighting one evil group, why am I still collecting 8 badges, and why does every game feel the same?" That answer is simple. There is a difference between innovations and changing a game completely. It is innovation to add additional content, more immersive content, and optional ways to make the game easier while keeping the core mechanics the same. However, once you start monkeying with the core mechanics it becomes something completely different. Generally games with the same franchise name that have completely different core mechanics or a completely different reason to exist are either terrible ideas that are remembered with anguish, or they just flat don't sell well. Heck even Pokémon has branched out into numerous other kinds of games within their franchise. These "other" games, although many of them are excellent or remembered with warm nostalgia despite their faults, have all sold fairly poorly in comparison to the "main" games in the franchise. The most successful "other" Pokémon game undersold by almost 1 million of the least successful main game.... and seriously, only 1.25 million from Pokemon XD??? That game was AMAZING! 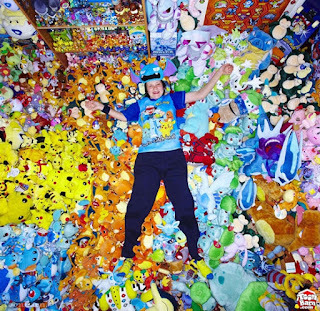 #1 Make Pokémon followers a constant thing. This is something that has completely baffled me as to why they stopped including it. If it was a Yellow Version exclusive thing that never came back then I wouldn't worry about it because that game was different and special. However, after they brought it back in D/P/Pt with Amity Square and with HG/SS for the entire game, I figured this may become a constant thing with the series. 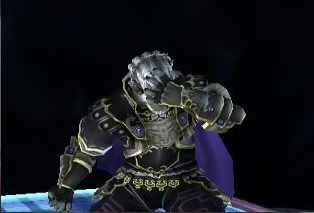 However like many fun things Nintendo decided to axe that idea once more. I realize it's something very silly and calls for a lot of extra sprites to be created especially now that we are in a 3D world with the series, but it's something that all the fans love and it makes our journey through the games that much more satisfying to see our lead pokémon out and about with us. Jump to 2015 and not a single thing has changed. 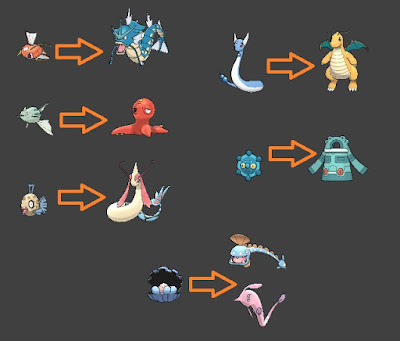 There are now MORE pokémon that only evolve by trading them back and forth. Although there are "easier" ways to trade now with the inclusion if wifi trading, the core problem is the same. No one to trade with because they either don't have the game at all, forget to bring their 3DS with them anytime we meet, or are too busy engrossed in their lives to spare 5 minutes to trade something. Heck with the new Alpha Sapphire I asked multiple people over the course of a week to help me evolve my Graveler before hitting up the Elite Four...and here I am two weeks later still not having a Golem yet. I realize trade evolutions were more than likely invented to cause personal interactions with other actual people but when you have no friends who own the game or no one who will give you a few minutes of their time then this becomes an exercise in extreme futility. 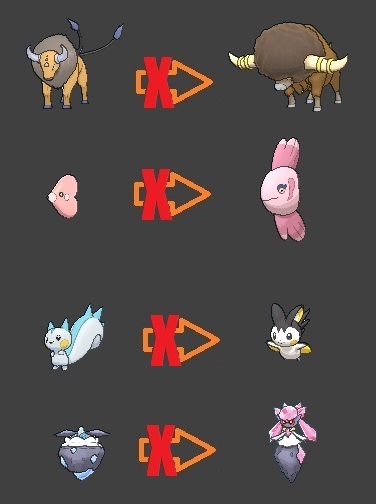 There needs to be an in-game trade system of some NPC that will trade you his pokémon then trade it back so that you can easily get these evolutions... or even something like a "link artifact" or something to use that will initiate the trade evolution for those needing it because obviously people are too unreliable to keep this trade evolving crap up. That would take an insane amount of data space and if they can't put the friggin Ice Climbers on the 3DS then I know that level of customization isn't about to happen in one of these games. However I think it would be nice to be able to select say... A tubby male with green hair that happens to be a teenager rather than a 10 year old. They could easily use the rivals from X and Y as the bases for these customizations and have to do very little work to change a hair color and skin color here and there. Mew was a nice little addition since apparently many of the developers didn't even know he was coded in to the first game. That kind of thing is a neat little quirk to have. Why they continued this trend of having impossible to get event pokémon, however, is sheer lunacy. If the catchphrase of this whole franchise is "Gotta Catch 'Em All!" then how do they expect me to catch them all when you physically cannot catch them all unless they shine down grace upon us with special one time only events that you may or may not even be able to get if you aren't going on serebii.net with as often as a Facebook stalker. I still do not have a Meloetta because I so happened to miss her event...this means I will be doomed to not have her and hope that my friend Angel will spare me 5 minutes to trade one over and back to fill out the pokedex until some time 4-10 years in the future when Nintendo decides to grace us all with her presence once more. Diance... well I have other issues with Diance but that's for a later point, Diance is the icing on the cake of stupidity with Event Only because it was an event only for Pokémon X and Y...and was only given to us a few weeks before the new Hoenn remakes came out...which was the game Nintendo wanted us to have this pokémon in because she only gets her mega evolution stone by transferring her over to Hoenn. Not to mention there are still two legendaries out there that were "introduced" in X and Y that we haven't even seen YET. This crap has to stop. Pokémon Alpha Sapphire and Omega Ruby added the ability to free-fly through the skies of the region (a feature which would have made this list had they not eliminated it's need to be on here.) Along with that innovation came the ability to fly not only to towns but also to routes so that you can get almost anywhere instantly. That's basically all you would need for the most part however the return of Secret Bases left open another avenue of flying that I would like to see explored in the future. There needs to be a couple of additional spots that you can fly to or the ability to add a couple of custom spots for you to fly to. This would make going to your Secret Base, the Pokémon Day Care, The Safari Zone, or things like the Berry Farm much faster and easier to get to than having to fly to the nearest town or the route that it's on and take a stroll to it. Yes this is kinda nitpicky yes and mostly would only save about 10 seconds of your time but that's 10 seconds that I could be spending to exploit money with my Con Artist Smeargle MUAHAHAHA!! This is only a recent development with the series. 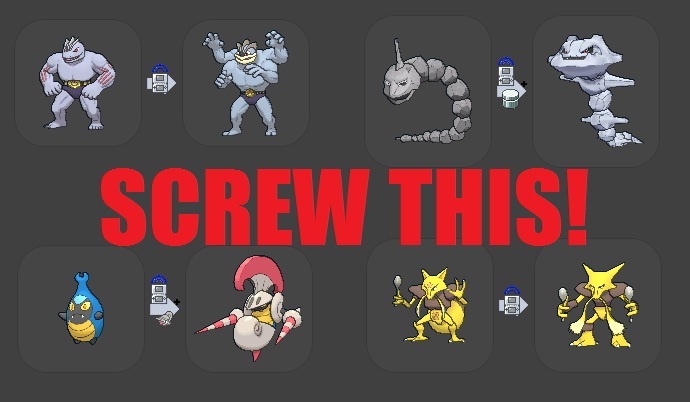 I've never had any problems with Pokémon evolution until Black and White came out and they gave a giant middle finger to logic. 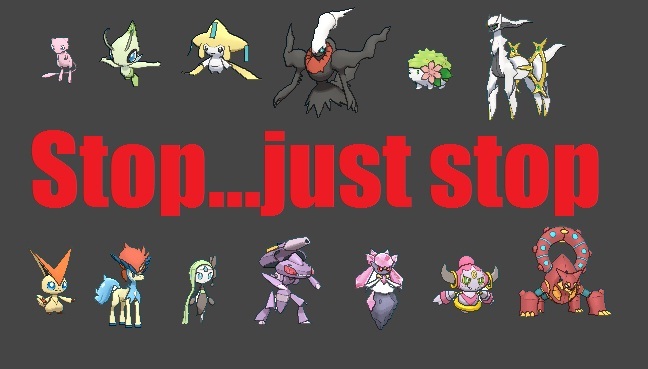 Black and White boasted about having all new pokémon in the game with nothing included from previous versions. Unfortunately this leaves a little bit to be desired as there were obvious deficiencies in the logic department. But yet these aren't allowed to happen?? Mega evolutions were a neat thing to include even if it was a ripoff of Digimon. It made some powerful pokémon even more powerful and some massively underused pokémon relevant once more. It was something supremely satisfying and awesome...but the more I thought about the implications of the mega evolutions, the more I may have a problem with them. Pokémon has always had a limit of 3 forms per creature since the beginning. Giving things such as Charizard and Blaziken a Mega Evolution allowed for them to become even stronger and better. My problem is with the underused ones getting Mega Evolutions. 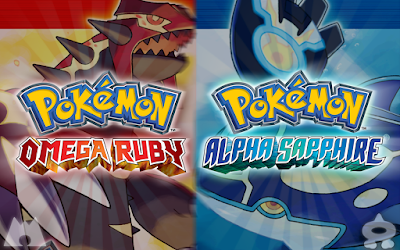 Since they added more Mega evolutions in Alpha Sapphire and Omega Ruby it can be theorized that they are here to stay. As such, some of these pokemon such as Pinsir and Sableye have now been doomed to not have any other evolutionary line unless Nintendo surprises me entirely. 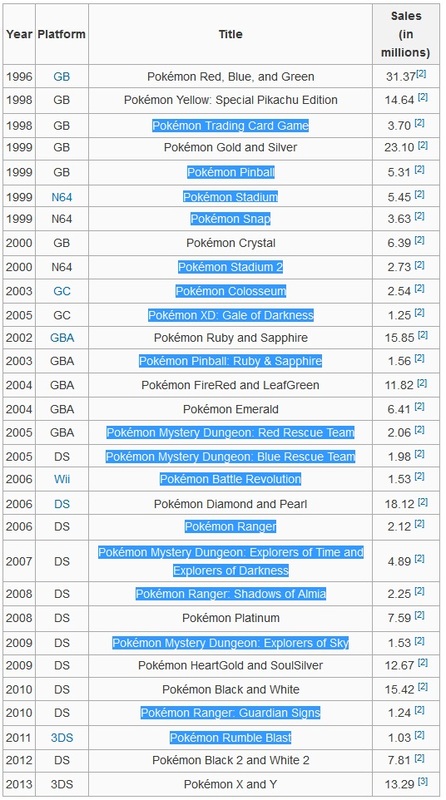 is there ANY reason that these mega evolutions couldn't have been regular evolutions of the pokémon in question? No there's not. These, in fact, SHOULD have been their 2nd or final evolutionary form. All these have succeeded in doing is making sure that all of the pokémon above will most likely never have another evolutionary form which is a crying shame for the likes of Pinsir, Aerodactyl, Heracross, Audino, Sableye, Mawile, and Absol especially. Mega evolutions should have been left to increase the likeability and power of pokémon with 3 existing forms and legendaries...and whatever you would call kangaskhan's baby coming out of her pouch. We've been stuck with the same 6 party only while having to run to a PC to swap out pokémon since the very beginning of the series. Given all the innovations they've made to the series and all of the additional needs to perform well and quickly in this game, this is extremely outdated and needs to change in one way or another. However if you want to be able to do everything in the easiest and best possible way then you will need a large variety of pokémon and will probably need most if not all of the below types of creatures. A. 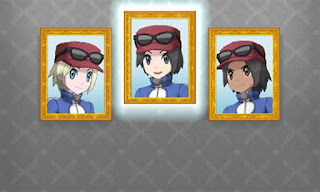 Your main team that you go through the game with which has as many HMs as you would normally need to get from Point A to Point B as well as get through Victory Road. B. Your competitive team which has been expertly trained and EV trained to battle other people. E. Your pokémon catching false swipe crew. Be it something which can take a beating like Escavalier, something with Scrappy to hit ghosts, or The Legend Catcher Shedinja who doesn't take attacks from most legends. 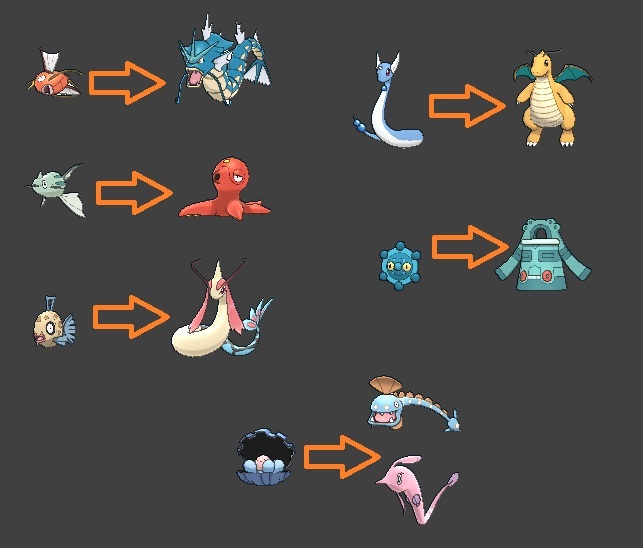 There are just far too many pokémon that you will need to swap out back and forth depending on what you're planning to do. 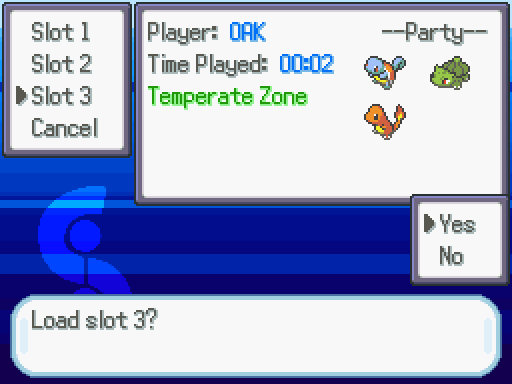 So you have to constantly walk/fly to the Pokémon Center and boot up the PC to swap out pokémon and then head back where you wanted to go. The existing system is no longer good enough. This means we need to either have an extra pokémon slot or two in your party, or (so that we don't mess with the core PVP battling system) simply devise a way to remote log in to the PC to swap out your pokémon party as needed no matter if you are in the middle of a cave or downtown in the capitol. This is the BIG ONE. Even if the rest of this entire list never gets changed, if this one happens to be gotten rid of then that will be a complete triumph because this has absolutely GOT TO GO. HMs are an archaic excuse for a delay tactic used in the original games. Once you got the HM and the ability to use the HM then places which were previously closed off to you are now open. It was a way of keeping you away from walking into an area with level 50's when you are still only sporting level 10s. Pokémon can only have four moves at one time. HMs cannot be deleted unless you visit a single Move Deleter somewhere within the world. The above reasons are why you end up needing a single player team and a competitive team as well as things such as a dedicated Water HM Slave. Replace HMs with Key Items that you would use yourself. Something along the lines of a hand scythe to replace cut, an inflatable float/boat to replace surf, a pulley to replace strength etc. When you get the badge that would normally have allowed you to use an HM, instead it would unlock the potential for your pokémon to perform these type of overworld actions without having to replace a move. For example pokémon who would normally be able to use cut could now cut down bushes at will without replacing a move with "Cut". Any water type pokémon would be able to carry you around the ocean. Any fighting type move would be able to break rocks etc. Both of these solutions would eliminate every single problem with HMs and still allow the game to restrict you from moving beyond where you need to be. Well, there you have it. These are just a few changes that I feel should be explored or need to happen in order to take the Pokémon franchise above and beyond the fairly wonderful job they are currently doing. Do you agree/disagree? Is there something you think I have missed? Please comment and let me know. This is Ghost, fading into the darkness!